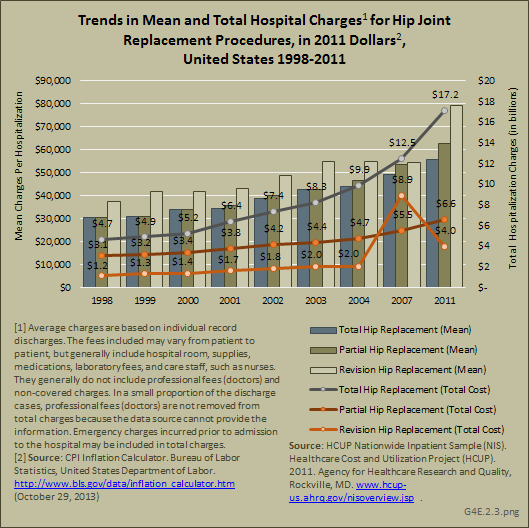 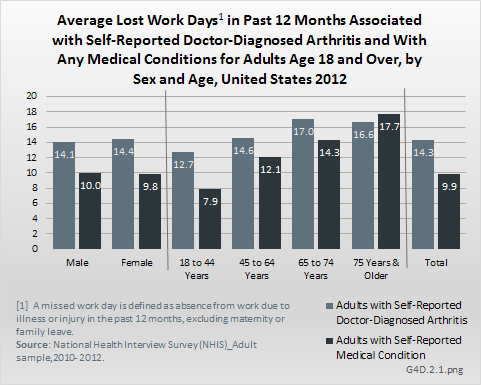 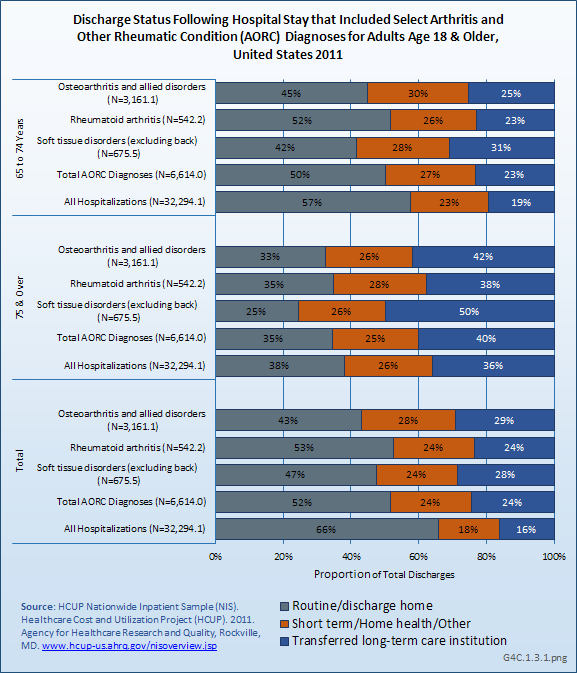 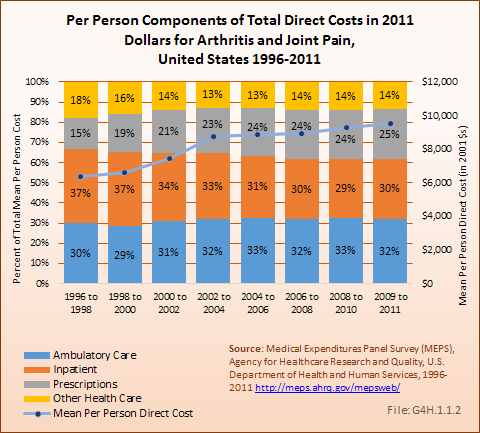 The Economic Cost section of this report uses the Medical Expenditures Panel Survey (MEPS), a standard source of cost of illness estimates, to estimate the total direct and indirect costs of musculoskeletal conditions and selected categories of musculoskeletal conditions, as well as the incremental direct and indirect costs specifically attributable to the selected category. 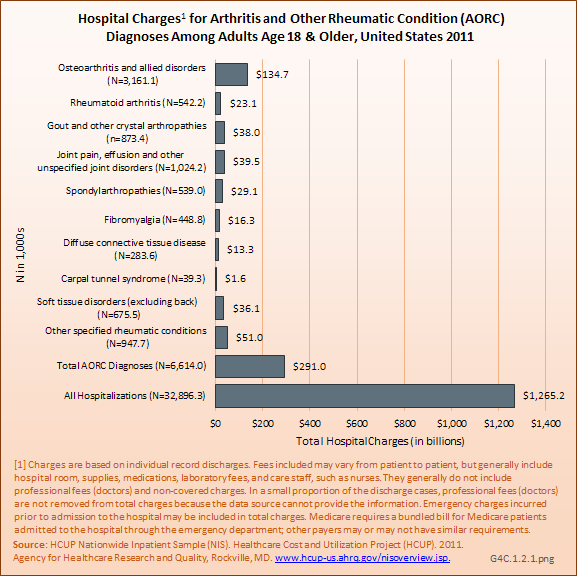 Total costs are all costs for a patient regardless of the condition responsible; incremental costs are those costs attributed to a specified condition. 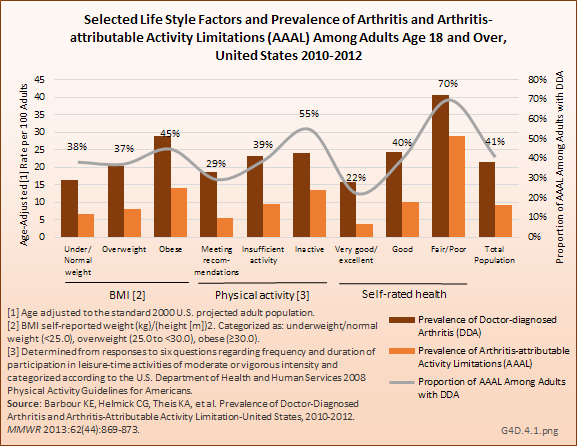 There are several important points to remember here. 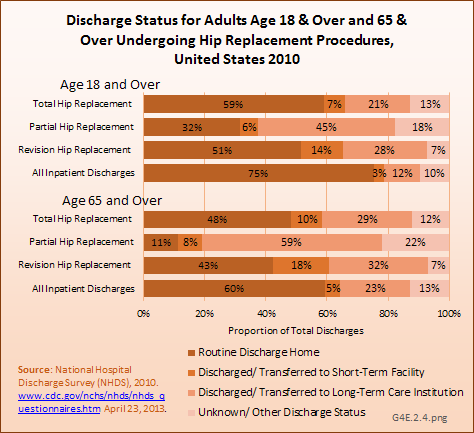 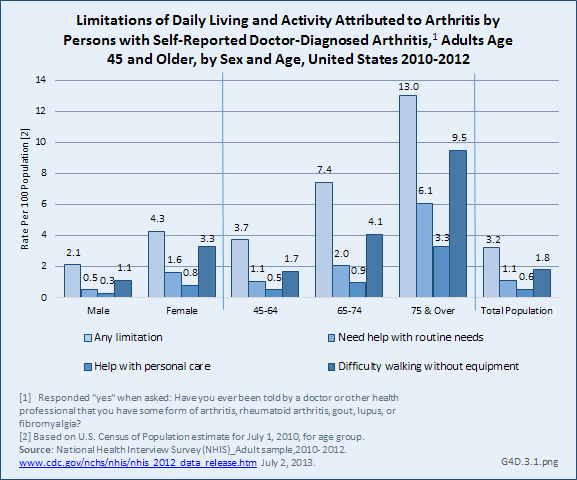 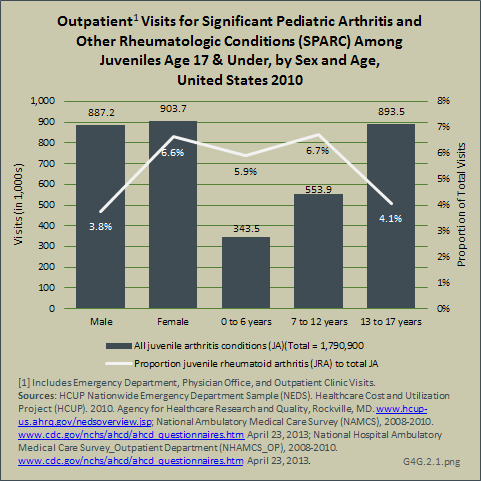 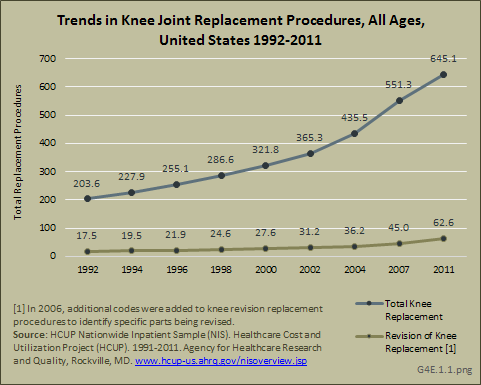 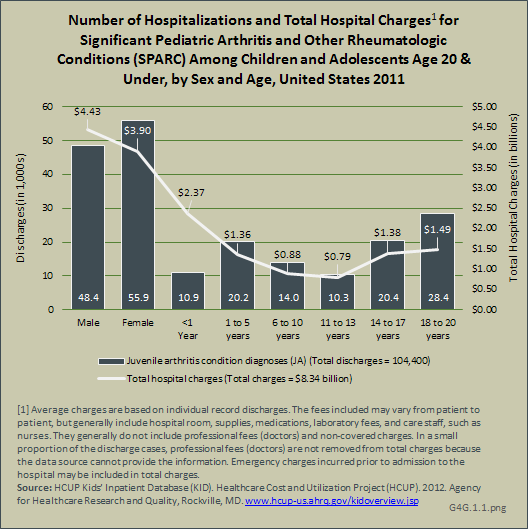 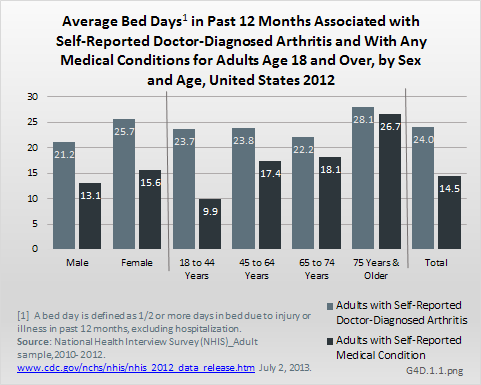 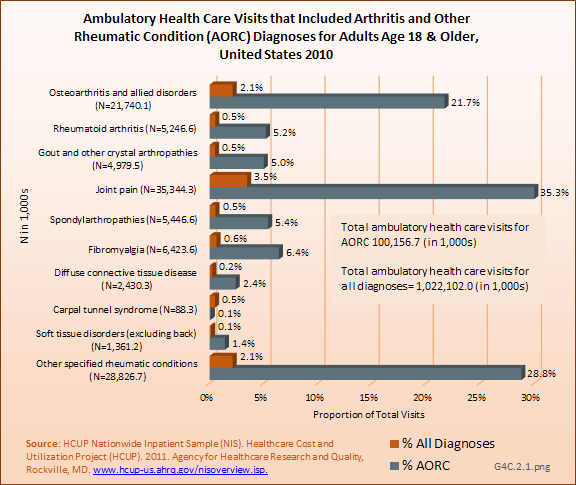 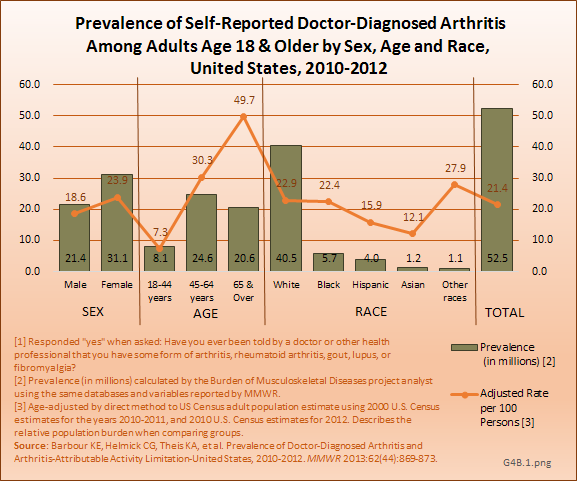 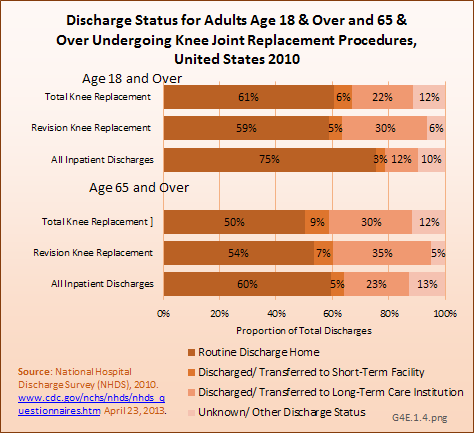 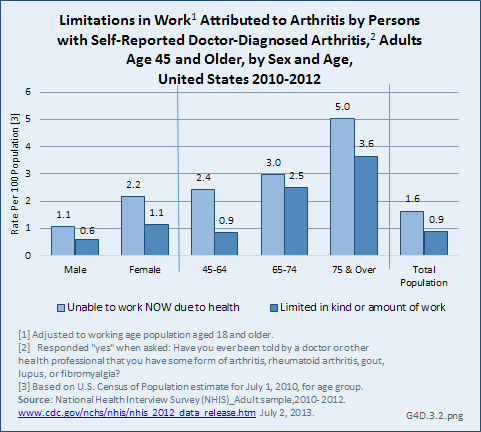 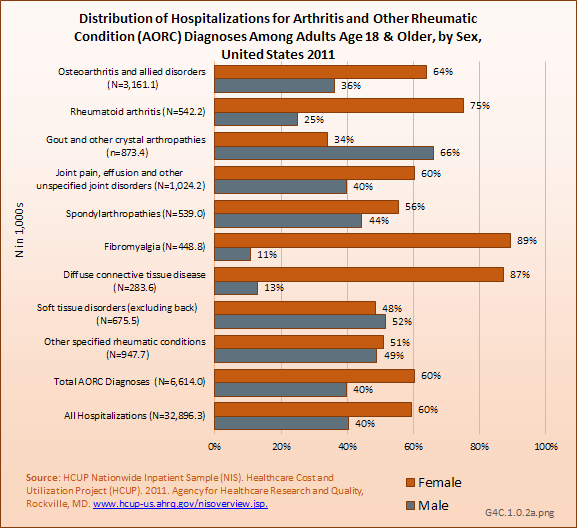 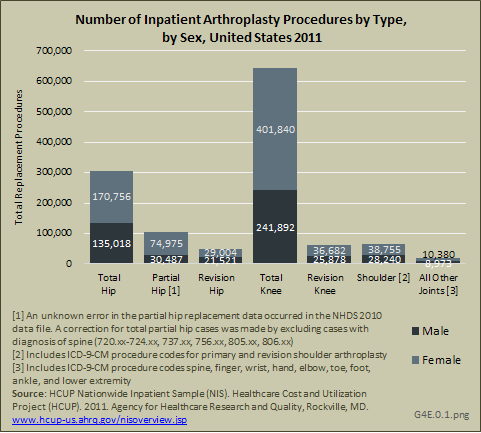 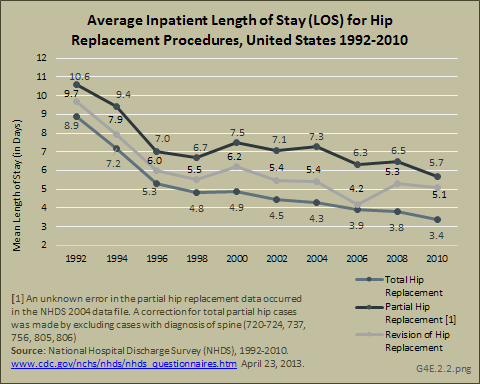 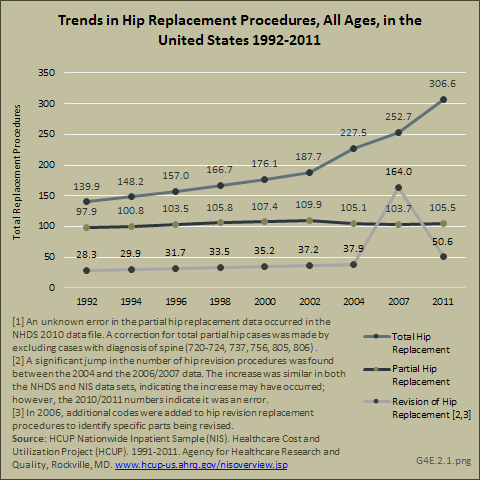 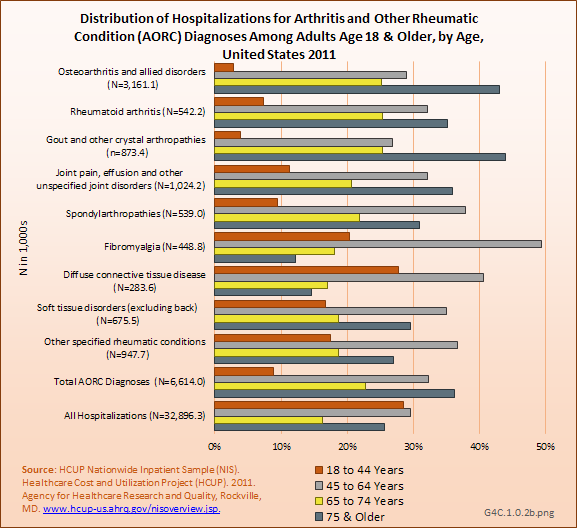 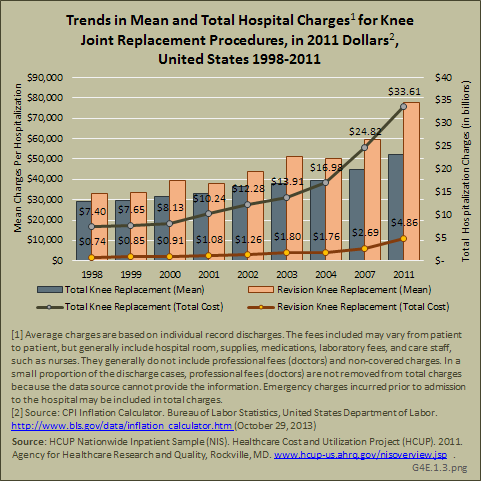 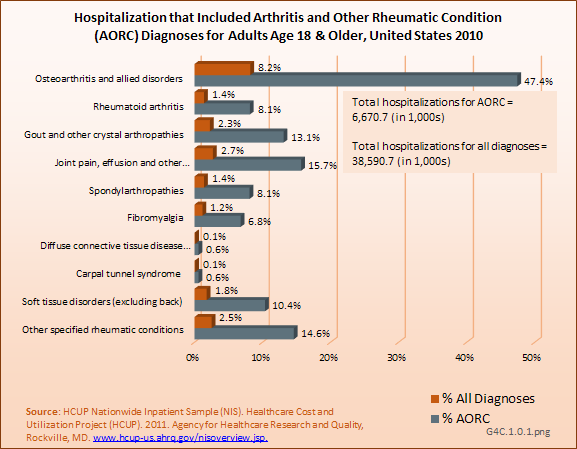 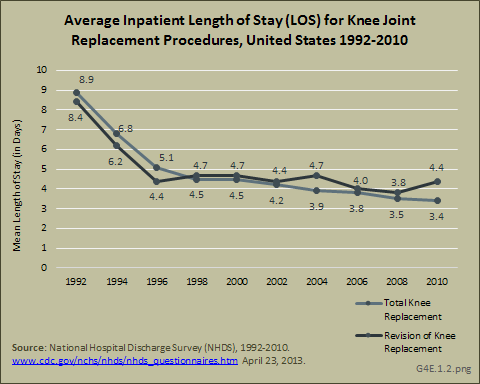 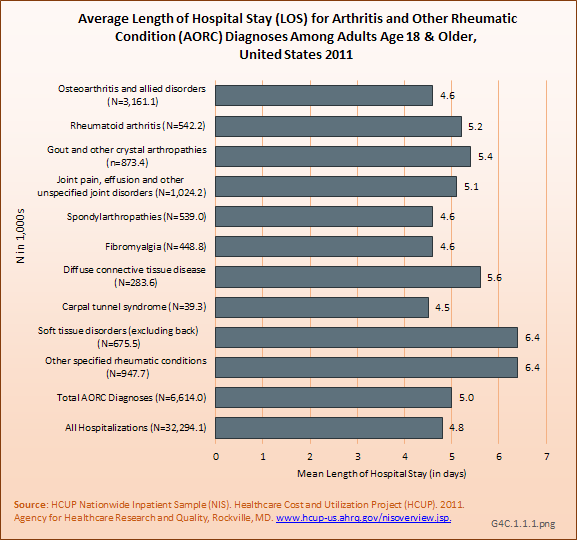 First, for arthritis and other rheumatic conditions, MEPS requires the use of selected three-digit ICD-9-CM codes, using the three- and four-digit NADW AORC ICD-9-CM codes to create a similar category called “arthritis and joint pain.” This approach provides the best available estimates of the costs of AORC. 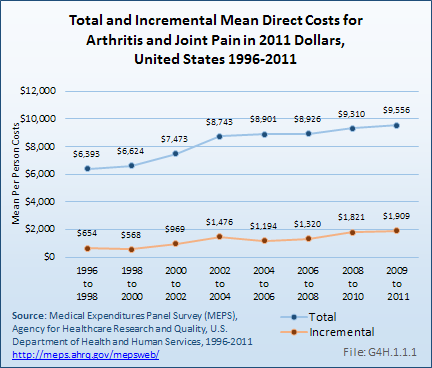 Additionally, costs estimates are per person and reported as mean per-person costs. 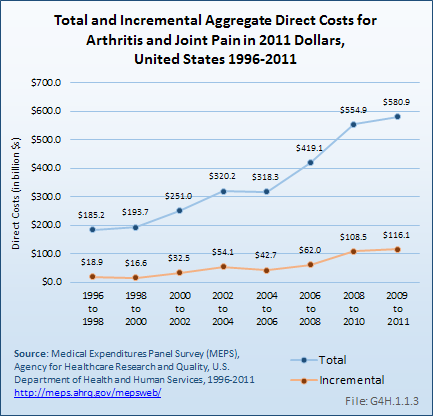 To arrive at the estimated aggregate cost, the mean per-person cost is multiplied by the number of people affected, resulting in a total cost for conditions in the United States.